The past week or so has been pretty rough for fans of the New Orleans Saints, and understandably so. The team lost two of its essential players on the offensive side of the ball during that time: former RB Mark Ingram (who signed with Baltimore in Free Agency) and center Max Unger (who retired early at age 33). 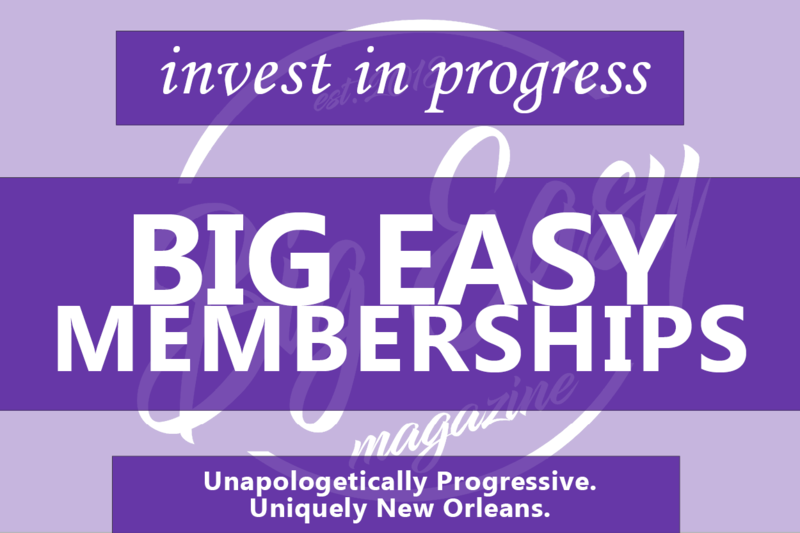 As a result, even some of the franchise’s most loyal and devoted long-time supporters have expressed their concerns with the changes that have taken place. But as the team enters into the heart of the 2019 off-season, there’s one other possible change for the team being discussed among Who Dats — the likelihood that #2 QB Teddy Bridgewater will take over as the team’s new starter once Drew Brees retires — that has become a heated topic of debate for some. 2006: @drewbrees signs a 6-year, $60 million deal. It’s with that in mind that we’re going to take a brief look at a few of the biggest myths regarding the 26-year old Bridgewater, whom the team re-signed last week to a 1-year contract worth $12.5 million (with $7.5 million of it fully guaranteed), to keep Bridgewater in NOLA as Drew Brees’ back-up. This one we don’t need a whole lot of verification for. In fact, the throw in the video above (from 2 and a half years ago) is a good 50-plus yards in the air, and Bridgewater hits the receiver in stride. But that’s likely also the maximum extent of his throwing range, which is approximately 55-60 yards. That’s not a bad range mind you, but it certainly doesn’t put him in the category of Baltimore’s Lamar Jackson, who can throw the football nearly 80 yards in the air. Or in the same conversation with the famous arm of former 1980’s era Philadelphia Eagles’ QB Randall Cunningham, who (legend has it) once threw a football from goal line to goal line — an incredible 100 yards in the air. For a player who will be playing at least eight games per season inside of the Mercedes-Benz Superdome (assuming he does take over from Brees), that comment doesn’t exactly sound encouraging. While it’s been established that Bridgewater doesn’t necessarily have a “cannon” for a throwing arm, his accuracy and ball-placement (or “throwing receivers open” as it’s sometimes referred to) is an entirely different story. College and NFL scouts are in virtual unanimous agreement that Bridgewater often displays good ball placement, (as shown above) and has the capability to operate and execute a timing-based, short-passing game style of NFL offense (coincidentally a lot like the one that Sean Payton and Drew Brees run currently), in a very effective manner. In fact, the good folks over at analytics website Football Outsiders note that when given the opportunity to actually show it, Bridgewater has proven to be a quarterback who is able to “throw receivers open with anticipation and precision to the short and intermediate levels of the defense.” They add that Bridgewater has a good understanding of where he needs to throw the football, can make smart and accurate pre-snap reads, and has a sound grasp of how to break down a variety of different pass coverages. Considering you have a QB like Brees completing 70% or more of his passes every single season, Saints fans have gotten very spoiled over the years, expecting to see many pass completions, very few interceptions, and of course plenty of points being put up on the scoreboard as a result. But since he first entered the League in 2014, Bridgewater has been impressively accurate in his own right. That’s a trait of his game which should prove to be very beneficial to both him and the team in a few years from now. The biggest issue that Bridgewater will face should he be the player that does, in fact, take over for Brees is the high expectations of Saints fans. The honest truth is that it won’t really matter who the next QB to follow Brees ends up being, because that person is NEVER going to be as good as Brees was, in the view of most fans. But biased opinions aside, the bottom line is that the only thing that you really should be worried about as a Saints fan is whether or not Bridgewater is capable of taking over the reins of the team and winning games consistently on a week-to-week basis in the same manner that Brees has. That’s the standard for any starting-caliber NFL QB to meet, regardless of how many numbers they can put up stats-wise. So what do some of the more respected analysts think about Bridgewater and the likelihood that he could smoothly help transition the Saints starting QB position from one generation to the next? Instead of listing a handful of varying opinions, I’m going with the observation of the one person within Saints Media whose views I personally respect the most: my good friend, and WWL New Orleans TV and Radio Football Analyst Mike Detillier. A permanent fixture on the local scene for nearly 40 years, most Saints fans know Detillier for his informative and detailed breakdowns/analyses of local high school, college, and pro football games on a variety of radio and TV stations throughout Louisiana and in syndication nation-wide, as well as big-time networks such as ESPN and FOX Sports. I already know Mike’s opinion on Bridgewater and what his thoughts are on what the soon-to-be 27-year old brings to the table to the Saints organization. So, I’ll just refer you back to what he said in his column last year, right after the Black and Gold acquired Bridgewater in a pre-season trade with the New York Jets. At that time, Mike noted that he felt that Bridgewater is perfect for Sean Payton’s style of offense — which relies on timing and the short passing game — which is what Bridgewater does best. Detillier added that while Bridgewater was never known to be a “gunslinger,” he was known for his accuracy, intelligence, toughness, leadership skills and his ability to read and recognize coverages quickly. 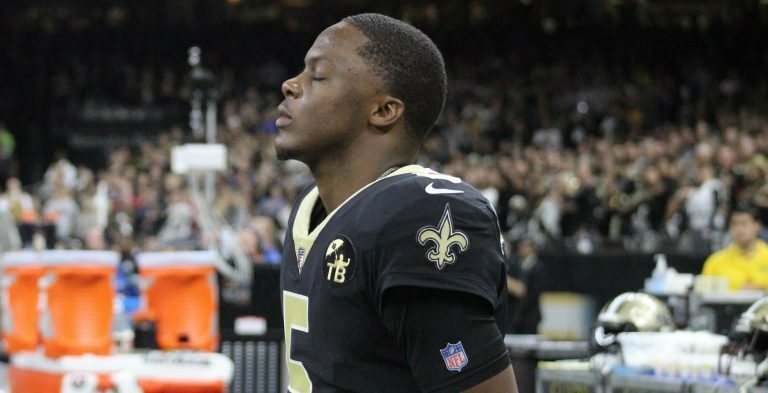 Long story short: Detillier says that in many ways, Bridgewater emulates Brees in a lot of categories, and is the guy the Saints organization really believes is the future after Brees “hangs it up for good.” That’s about as glowing of an endorsement as you will ever get for Bridgewater from someone of Detillier’s well-respected status within the sport of Pro Football. Hopefully, I’ve been able to ease the mind of more than one worried Saints fan. But, given the inquisitive nature of Saints fans as well as the brief nature of this article, perhaps I’ve left you with even more questions than actual answers. I say give Teddy a chance! He has the skills, the intelligence and he is a leader. All he has to do is learn as much as he can from the G.O.A.T. and work as hard as he does and the Saints will have another winner! I agree. There aren’t really any available options at this time that look better and I believe the injury and lost year probably are the biggest concerns most of us have. If he is such a great player how come no other teams were beating down the door to get him. Nobody. Y’all keep pushing him down our throats like y’all know everything about football but in reality y’all just trying to get everybody to like him as much as y’all!